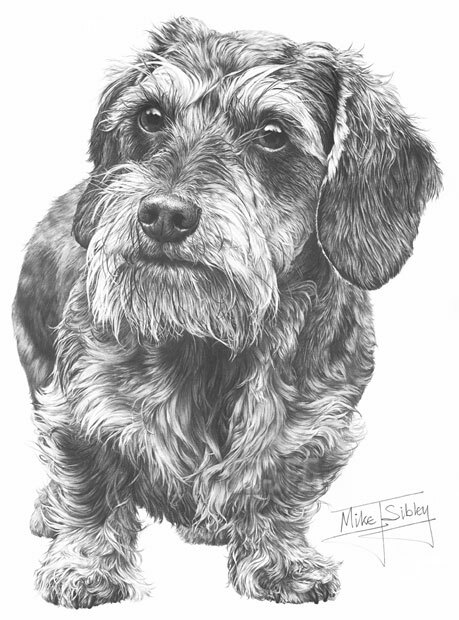 I fell in love with cheeky little Miniature Wirehaired Dachshund as soon as I met him and couldn't wait to begin the drawing. Because of the wiry hair texture, it's a complex drawing, but I enjoyed every minute of it. The drawing took approximately 92 hours to complete.